Which series are doing the best? The worst? Wondering how your favorite TV shows are doing in the ratings? Here are the season average ratings of the 2013-14 network TV shows — through the end of week 44 (Sunday, July 27, 2014). NBC shows (so far): About a Boy, America’s Got Talent, American Dream Builders, American Ninja Warrior, Believe, The Biggest Loser, The Blacklist, Chicago PD, Chicago Fire, Community, Crisis, Crossbones, Dateline, Dateline Saturday Night Mystery, Grimm, Growing Up Fisher, Hannibal, Hollywood Game Night, Ironside, Last Comic Standing, Law & Order: Special Victims Unit, The Michael J. 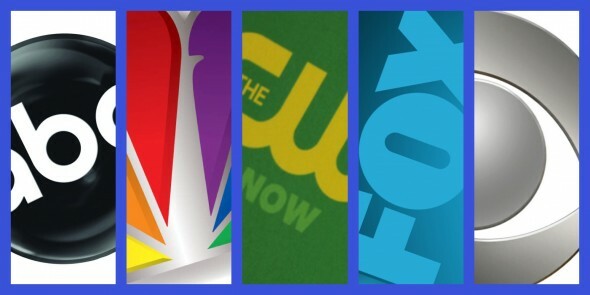 Fox Show, The Night Shift, Parenthood, Parks and Recreation, Revolution, Sean Saves the World, The Sing-Off, Undateable, The Voice, Welcome to Sweden, Welcome to the Family, and Working the Engels.